Have you "had enough" of being where you are now and experiencing what you have been experiencing, and just want to break through to the other side? With consistent, supportive, 100% belief in having you achieve your goals, I stand right beside you, and we get you up there where you belong! What a fantastic way to start this year. Sometimes you just want that quick fix to get you going and off to the other side of whatever it is you're facing. I know we all want to take that magic pill, wave the magic wand, and have it all be much better, quickly. But in my experience, the best way I've seen anything like that happen is with focused time, dedication, and really good quality support. The 30-Day Life Transformation Breakthrough is going to give you a kick-start to your new year, and help you get up to the next level, fast. The right inspiration creates motivation. The tweaking of your mindset, along with powerful, direct guidance from an experienced business owner, coach, and intuitive, is just what it takes to pull you up and out of habits and patterns you've grown accustomed to operating from. With new work and a new perspective instilled, all manner of changes and results can happen for you! I've worked with a lot of high-level individuals. It's what I really enjoy because they know what they're looking for, and they are smart enough to invest in themselves and take responsibility for their results. If that's you, that means you are fully identifying what you really want and are willing to let go of things that you know aren't working anymore. You're willing to take leaps of faith that might be just a little scary for you, but you know it's what you need and want to do! I've helped clients with their health, their relationships, and finding, identifying, and beginning their right livelihoods. I've helped people let go of old jobs and personal, painful habits that hurt themselves and their families, and supported people in reaching goals they'd been trying to reach for so long but never could before! Within weeks, we'll have "gotten it done," much to my clients' surprise and the relief and excitement of their friends and family! Every week, we'll be meeting on the phone to continue our progress. You'll start off with a 90-minute mini-intensive designed to have you completely download to me everything that you have going on, focusing on whatever particular area you want to work on for the next month. You'll walk away with a clear plan for what you'll be shifting, changing, and doing for the next 2-3 weeks. You'll have immense clarity and vision, and the ability to focus your intelligence and energies for the following three weeks. This system is highly customizable: you'll have access to what you need from my history and collection of tools and resources—for business, health, and personal goal achievement—whatever your particular needs call for. After thirty years of personal development and Life study myself, I have a wide range of resources you'll be able to draw from as we move forward. As a professional, I am keen to monitor what will be just enough to push you forward, and yet not be so overwhelming as to cause stalling. This is a very specific kind of experience and training you want to be able to have in any coach. Very often, my work with people causes them to get out of feeling overwhelmed, and to institute a state of peace, calm, creativity, and fun in their lives. 1 90-Minute Mini-Intensive—your first call. Fully download to me everything you have going on now, and tell me where you want to go. In the final week, we review accomplishments and set you up for a good continuance on your own. 3 One-hour phone sessions, one per week. Here we check up on what's been done, go over questions and answers on what's next for you, and set a clear mindset and direction for the next week. Email access for support and accountability. For questions and answers, additional support and focus, and sharing of your accomplishments and successes, big and small! Verifying that what you desire to create is in alignment with your soul's calling. ​As your world changes, you'll be rising up! What's new and different about your world that is showing up now? Are you being challenged to determine if what you want is really what you want? Are you willing to make some tough choices to move forward? At this stage, you will experience continued shifts towards your highest purposes. I provide ongoing support during these shifts, while past influences and questions continue to come up. Do you want to get going with your goals now? Do you have a strong desire, and would you like to work with someone else, while you work on yourself? If so, then with the focused, customized support I'll be giving you, you'll become unstoppable. Imagine rising above and through it all, higher and higher, until the magnifier of your life shows you that miracles can happen! Your Life Transformation Breakthrough is on its way! Support through all the hills and valleys that make up your journey, forward and upward! 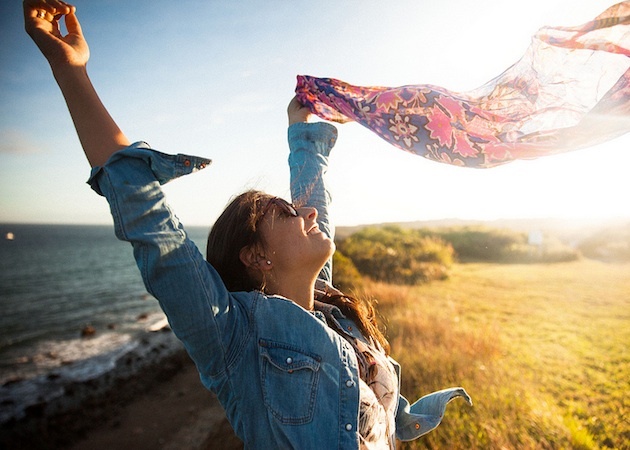 ​Your transformation is now more available to you than ever! "3 Keys to a Greater Connection with Source." By learning how to increase your connection to Source, you implement a new higher guidance into your life, reprogram your subconscious, and increase your possibilities for greater expansion. 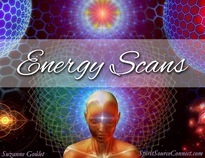 This Energy Scanning session allows me to observe deeply into your consciousness on much higher levels, and give you a reading of each one of your chakras. As I am guided by Spirit, the information that you are holding there will be revealed, allowing you the knowledge needed to see what steps are most beneficial for you to take next on your path. 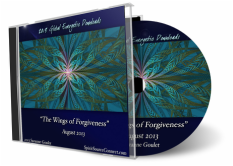 You'll be given the opportunity to choose between any one of the transformative audio journey CDs that have been the result of the Live Global Energetic Downloads. By using this energetically powerful, channeled from Spirit material, listeners have seen difficulties change and transform much more easily in their lives. 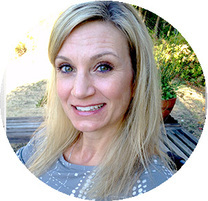 "Suzanne possesses a true gift for connecting with people. 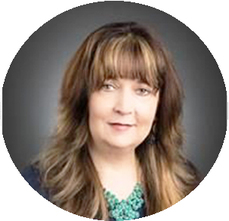 She is genuine and cares deeply about helping people to live an enlightened, loving, happy life. 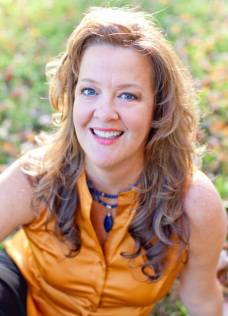 ​Thank you, Suzanne, for all the precious kind and caring support you have given me on my journey to a higher level!" "Before working with Suzanne my life was chaotic, professionally and domestically. After just a few sessions with Suzanne, I can't believe the progress I have made. She has given me the guidance and courage to take the steps I need to to create the life I want. It's been fabulous!! I can't wait to see what the next few months will bring. "From our first session together, I immediately felt great rapport with Suzanne and adored her focused but also laid back approach to ferreting out exactly where I was at, and then gently yet firmly guiding me to make my own conclusion to change it. She listened not only to what I was saying but also read between the lines what was really going on. She helped me give myself permission to see that my real priorities were not building my business, but taking care of a few pesky personal projects that have been weighing heavy for far longer than I'd ever tell you! In turn, I began trusting my own judgment again—much more than I had in a long time. - I released two clients that weren’t a good fit. - I let go of an opportunity to create a steady income but which didn’t support my long-time goals. - I made sweeping changes in getting rid of some things that weren’t worth the time it takes to sell them. - I got lots of things out of the house that freed that mysterious but friendly force known as energy ("good Qi") to do its magical thing of making good things happen almost magically. - Out of the blue someone contacted (me) stating they didn’t know how they knew me but wanted to hire me immediately. - I am currently getting the chance to write (my real passion) and the opportunity to learn while getting paid and apply the training I’ve already gotten. This new client absolutely loves me, and I love her right back. She was looking for somebody just like me, and I was looking for someone just like her, and neither of us had any hope to ever find someone like that! 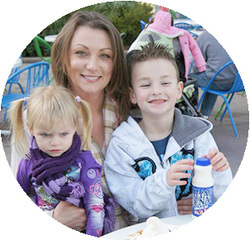 - I gained two ideal clients and more money than I have ever made since I began my business. - I am getting lots of good feedback from my clients. - I have more free time. - (I) spend quality time with my family and on myself. - I felt much more comfortable letting myself go shopping for a few hours to buy some long overdue new clothes. ​- I no longer feel guilty spending time on myself and show up much stronger in my business because of that. Thank you so much, Suzanne!"